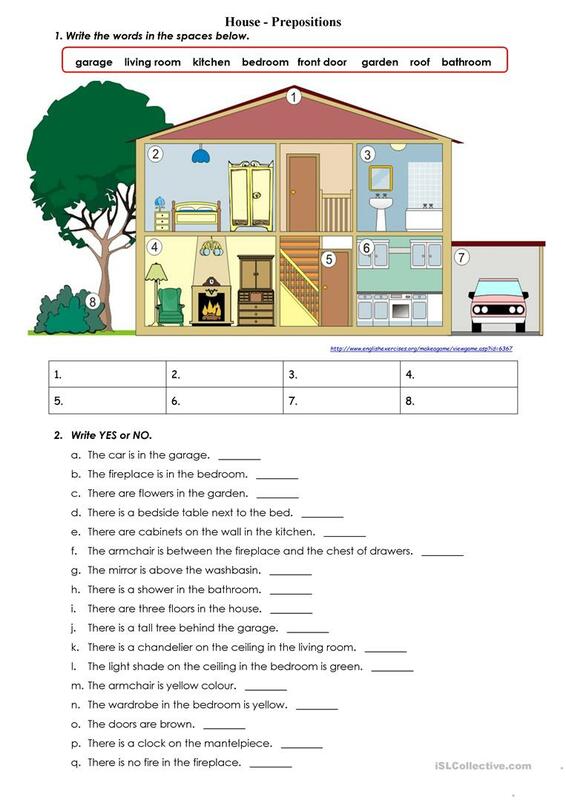 Practice worksheet on prepositions of place using the picture of the house. This printable, downloadable handout is intended for high school students, elementary school students and adults at Beginner (pre-A1), Elementary (A1) and Pre-intermediate (A2) level. It is valuable for teaching Prepositions of place in English, and is useful for developing your students' Spelling, Reading and Writing skills. It focuses on the theme of Home.